With all eyes currently on MSG for the Lakers and Knickerbockers, the Jordan Brand took to the feet of Spike Lee for the debut of this all new New York-inspired Air Jordan XX8. 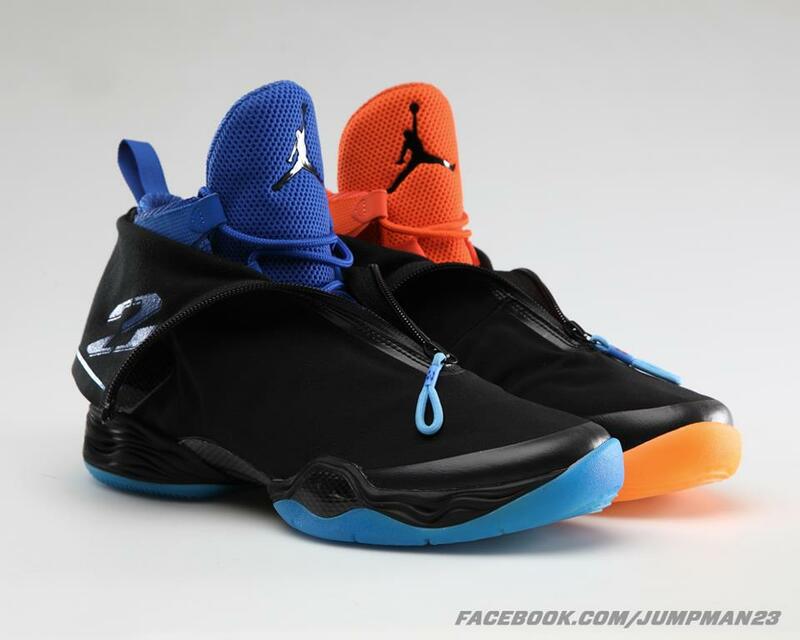 Making their debut on the big stage at the Garden, the XX8 features mismatching inner-booties in the classic New York Knicks combination of royal and orange. The XX8's unique logo and zipper pulls are covered in blue as well, while the translucent outsoles continue the mismatching theme in royal and orange. Worn by Spike Lee during tonight's battle between the Knicks and Lakers, there is still no word if this New York-inspired Air Jordan XX8 will make its way to retail. Stick with Sole Collector for further details.